Leo Asuncion, Jr. (Resume) currently serves as planning program administrator for the state’s Office of Planning, overseeing the overall management, administration and operations of the Planning Division. He also served as director and interim director of the Office of Planning from 2015 – 2018. 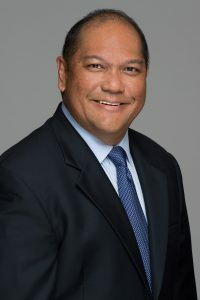 Previously, Asuncion was a senior regulatory analyst and senior integrated resource planning analyst at Hawaiian Electric Company; a project planner/manager at SSFM International, Inc.; a planner for the Planning and Program Evaluation Division at the Hawai‘i State Judiciary; and a state planner at the State Land Use Commission.